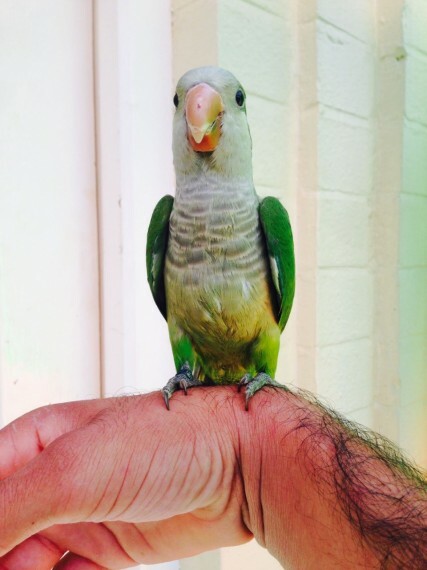 Beautiful hand tame baby Quaker talking talking parrot. Very friendly and tame full feathers and good health. Can be a perfect family pet in forever loving home. Age is 3 months old so best time to tech to talk. It step up on shoulder love get stroke and tickle. Mimc different sounds. For more information please call cage available on extra cost.